The world around us is enamored with success, isn’t it? We all want to be successful, whether financially, in our careers, as parents or as members of our community. Success makes us feel good, important, like we are making a difference in the world around us. Just for kicks, I googled “successful Christian” to see if anything popped up. And I was shocked. I shouldn’t have been, but I was. There were hundreds of hits. 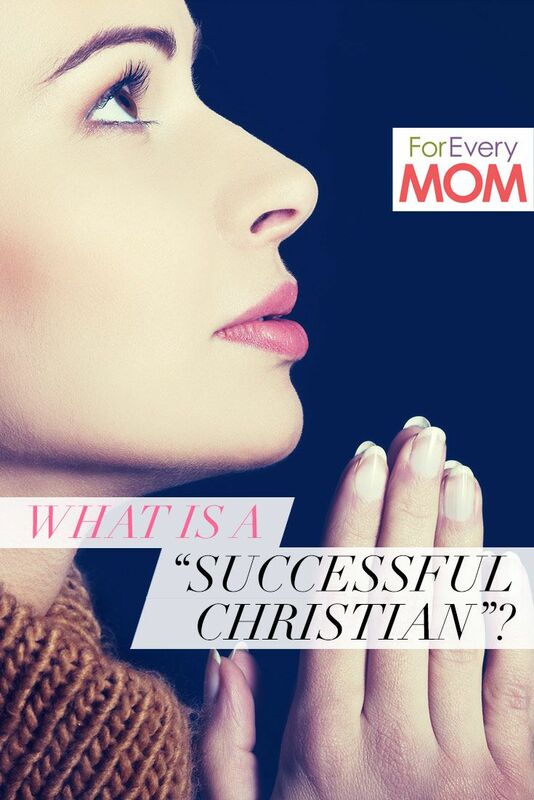 People are actually on the Internet, searching for how to be a successful Christian. Is it even possible? 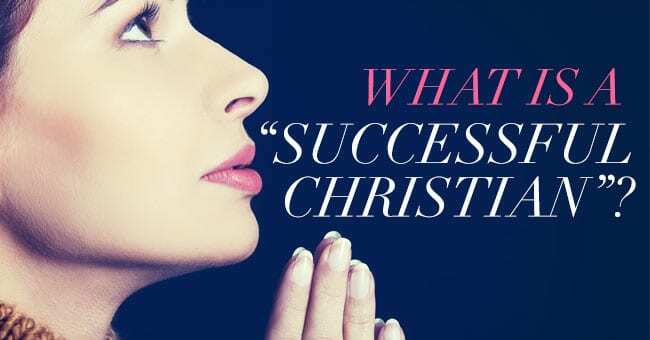 Do success and Christianity have anything to do with one another? The dictionary defines success as the accomplishment or attainment of a goal, or as a favorable outcome to one’s endeavors. Seems a little contradictory to the idea of Christianity, since Christians believe we are saved by grace through faith alone, not by our own works or good deeds. And judging from the people Jesus spent most of his time with, it doesn’t seem like success was important to him. In fact, just a brief glimpse at His life on earth and you won’t find a predictable model of success. He hung out with the outcasts, the downtrodden, the pond scum of society. He didn’t establish an earthly kingdom. He was captured, beaten and tortured. He couldn’t even carry His own cross all the way to the top of the hill. Someone had to help Him. He was mocked, stripped and sentenced to a criminal’s death. Not exactly successful, at least not by our definition. And yet all of Jesus’ preaching seems to say that the world has it wrong. That if we’re looking to succeed through the means the world offers, we’ll find ourselves at the bottom of the heap. It’s only by turning things upside down, becoming small and serving others, that we become greater. In our day, the world writes off those it finds incapable of success. But it was no different in the days that Jesus walked the earth. There was a crazy man, said to be possessed by many demons. The people were afraid of him. He ran around naked in the graveyard. They had chained him up before, but he was strong and he broke free. He spent his days wailing in agony and cutting himself. The world had written him off. But Jesus did not. Jesus did not look to the man’s success or lack thereof. He looked at the heart. And when others were afraid, Jesus bravely touched the man and healed him. Jesus wasn’t interested in success. He was interested in people. I talk a lot about special needs here on this blog, because it’s a topic near and dear to my heart. There are voices out there who would say that disabled people are incapable of success, at least by the world’s standards. Some would say the disabled are a burden, that they make no meaningful contribution to society but instead drain the system. It’s a logical proposition, but not a loving one. Because if we are followers of Christ, if we take Him at His word, then we must believe that the disabled are vitally important to God. It’s easy to point fingers at those with special needs. Many of them wear their flaws on the outside where the whole world can see, while we have the comfort of hiding ours within. Like the demon possessed man who wore no clothes, the disabled are exposed. Their differences are noticeable. Yet Jesus makes a beeline to the ones the world has written off. Jesus loved and healed and ate with people of all shapes and sizes and backgrounds. Real people—from pious religious leaders, to Roman officials, to peasants, fishermen and prostitutes. It didn’t matter if they were successful or not. It only mattered that they had hearts to love. I’ve been known to have a pity party or two because my life doesn’t look the way I hoped it would in my mid-40s. I am not rich, not famous and not successful by society’s standards. It would be easy to sulk and feel sorry for myself because of it. But instead, I choose to dwell on my significance to God. I am vastly important to Him, a jewel worth fighting for, a VIP in His kingdom. And all I had to do to achieve this success? Believe. Do you believe it about yourself? You are significant to God. You are just the kind of person Jesus would want to hang out with if he were here in physical body. He would be interested in you. Whether or not anyone important knows your name. Because Jesus does know. 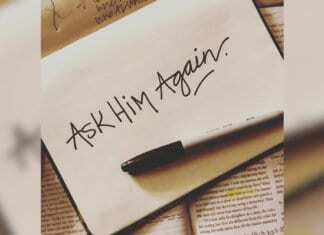 Your name is inscribed in the palms of His hands. The world may have written you off. But God has not. And He never will. You are something far greater than just a success to Him. Your turn! How do you define success? 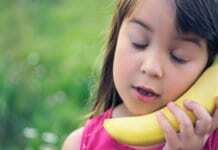 Do you feel pressured by the world around you to conform to certain standards? Are there achievements and goals you set for yourself in order to measure your own success? Keep the conversation going in the comment section. I’d love to hear your thoughts!